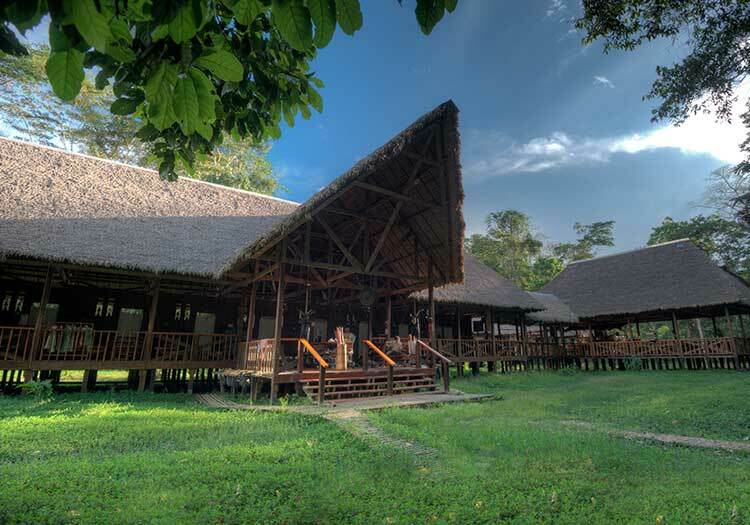 Located 2.5 hours by boat from Puerto Maldonado, the Refugio Amazonas lodge by Rainforest Expeditions is a delightful lodge adjacent to the Tambopata National Reserve, offering 32 guest rooms and constructed with a blend of traditional native materials and modern-day eco-friendly technology. 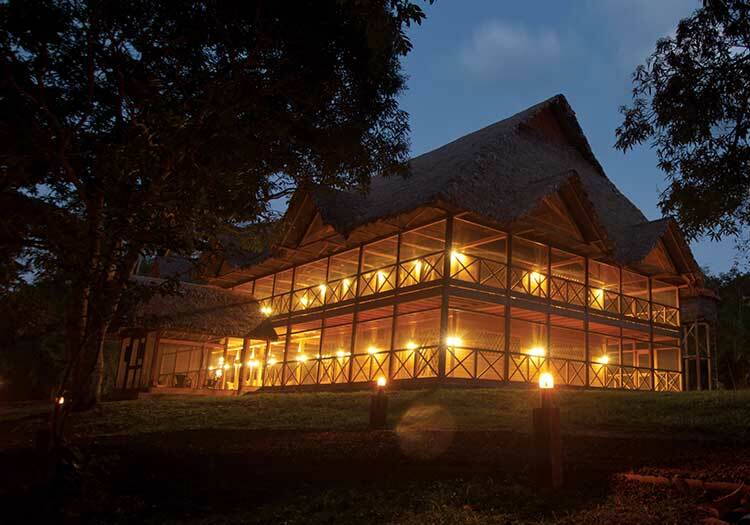 The Refugio Amazonas lodge by Rainforest Expeditions is one of Kuoda’s favorite jungle lodges. Expertly blending comfort, excellent service, family-friendly excursions, and excellent opportunities to glimpse rare wildlife, a visit to the Refugio Amazonas eco-lodge makes for the perfect visit to the Amazon jungle! With single, double, triple, and even quadruple-occupancy cabins, your whole group or family will be comfortable at Refugio Amazonas; with excursions to cocha lakes, along jungle trails, and to parrot clay licks, everyone’s jungle “must-sees” will be covered. 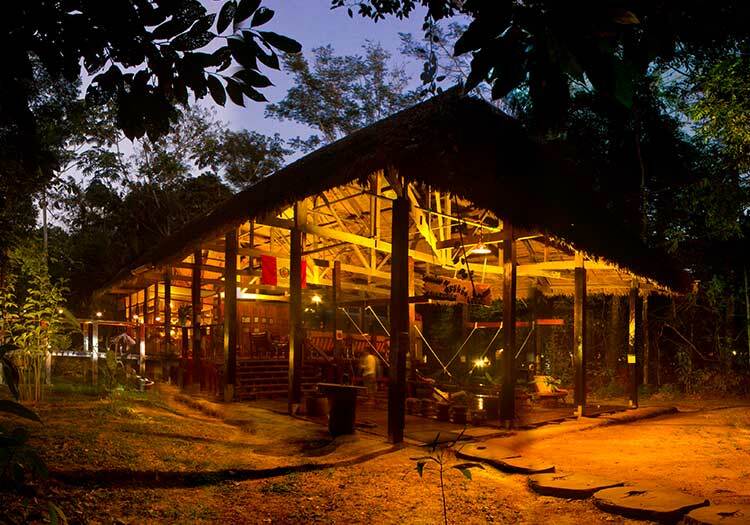 Welcome to the Refugio Amazonas Eco-Lodge in the Tambopata Nature Reserve!